The recipes you’ll find here are inspired by the people and places I love most. I come from a family of nine, and a big family means BIG meals. In effort to tame some of our mealtime chaos and get dinner on the table at a respectable hour, I began to help cook. I soon realized how much I enjoyed it, and before I knew it, I had taken over cooking our meals full-time. I captured the process in photos and documented my best recipes, and that’s how Half Baked Harvest was born. I spent the first 14 years of my life in Cleveland, Ohio until my family moved to the very snowy mountains of Colorado. I now live in a converted horse barn, a special place that I was able to design entirely around my lifestyle. It’s where I shot my first cookbook, and where I spend my days experimenting with new recipes, photographing my creations, feeding my family, and making one giant mess in the process. My hope is to inspire a love for food in others, as well as the courage to try something new! I started this blog in 2012 and have since been featured on The Cooking Channel, Food Network, HGTV, Crate & Barrel, Shape Magazine, Self Magazine, the Huffington Post, and PopSugar, among others. Half Baked Harvest was named Readers’ Choice Favorite Food Blog by Better Homes and Gardens in both 2014 and 2016. 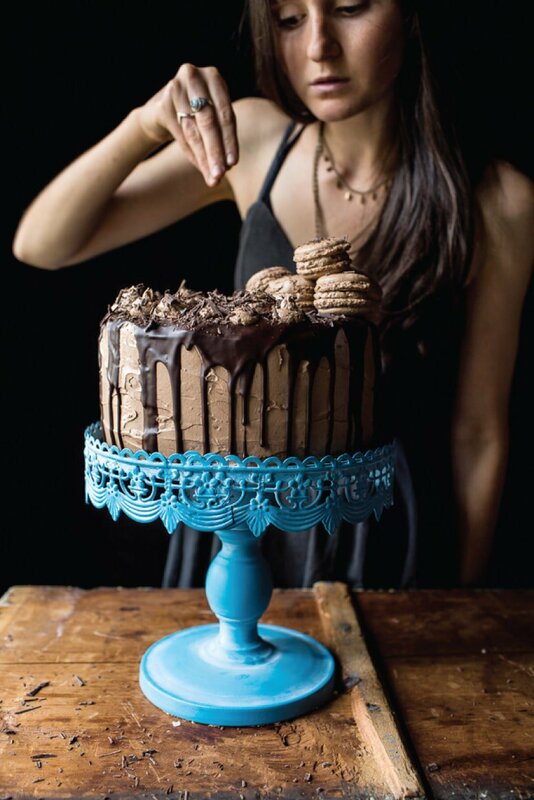 It was also the recipient of Saveur Magazine’s 2016 Award for Most Inspired Weeknight Dinners as well as the 2016 Bloglovin’ Best Food Blog Award. 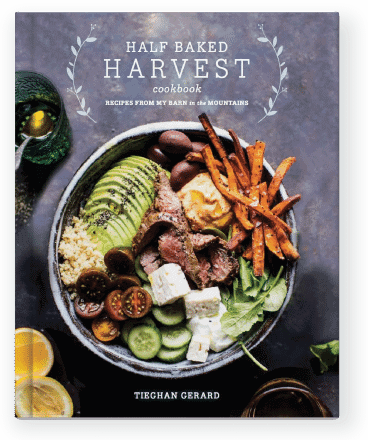 My first book, The Half Baked Harvest Cookbook, published by Clarkson Potter, launched September 12, 2017, which you can order here. Have a recipe question, an idea for an upcoming post, or an advertising inquiry? I’d LOVE to hear from you! Check out this page to contact me and I’ll get back to you as soon as I can.